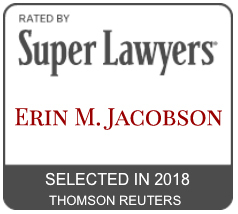 synch - Erin M. Jacobson, Esq. Some musicians have music publishing deals, some musicians have their own publishing companies, and some have both. For many independent musicians, owning their own publishing companies often means nothing more than just having name for publishing matters rather than a fully functioning entity. Musicians often ask me the difference between handling their publishing themselves and what a music publisher will do for them. A publisher will handle all copyright registrations, filings with performing rights organizations and mechanical rights collection societies, and other more procedural aspects of owning intellectual property. A publisher will also receive any license requests to use your music and handle the contracts associated with these uses, negotiating the best price they can, which makes sense because they get to take a cut of the proceeds. A publisher will also fight against any unwarranted uses of your music, including suing for infringement if necessary. Again, this is because the publisher usually has a stake in the copyright ownership and income generated from your compositions. A publisher will also have relationships with foreign companies and can enter into agreements so that your music can be promoted and administered in those countries, thus creating more opportunities for you and expanding your fanbase. A good publisher that believes in you and stands to profit from your music will find ways to promote it and help you (and them) make more money. This will usually include pitching your music for use in TV and film, pitching your music to other artists in order to get those artists to record your compositions, arranging for sheet music or other reprints of your music for sale, and any other opportunities to promote your compositions and get them recorded. Some writers mostly write alone, some only write with others, and some may write alone and with others. Sometimes, writing with other people can help a songwriter break into a new genre or get new creative juices flowing when the two writers can vibe on each other’s energy. A publisher will help to facilitate these relationships, as the more great songs its writer writes, the more everyone stands to benefit. Also, if you are a promising writer who has a deal but are still building your resume, your publisher may be able to pair you up with more seasoned writers to help advance your career. From a logistical standpoint, this is one of the most important functions of the publisher because an experienced publisher understands all the different revenue streams in the business, how to collect these revenues, and how and what you should be paid. A publisher can also pursue monies you should be receiving but haven’t, and audit your label or other companies with which you’ve collaborated to make sure you are getting paid correctly. In addition, if you are to pay any co-writers or other collaborators, your publisher can take care of this for you so that you don’t have to worry about understanding the complexities of the royalty streams and who gets paid what, as well as dealing with the minutiae of the task, leaving you more time to focus on creating great music. In my opinion, the functions of the publisher can be grouped into two very important areas: promoting your music and taking care of the business end (registrations, contracts, and royalty collection and payment). Both of these aspects are helpful to you and allow you to focus your time on creating music instead of promoting or bookkeeping. A publisher’s relationships and connections can be key to moving your career forward, and any reputable publisher will have administrative systems already established so that the business side runs smoothly. However,most music publishing deals require you to give up all or a portion of your copyright ownership, and all publishing deals will require a percentage of your publishing income as payment for their services. For independent songwriters without a publishing deal or who want to retain full ownership of their compositions, the next best option is to hire a great music lawyer to handle the business part of the equation, but the promotional aspects will still be up to the songwriter. Only you can decide whether these trade-offs are right for your career, or if retaining full ownership and spending more of your time on business work makes you more comfortable.